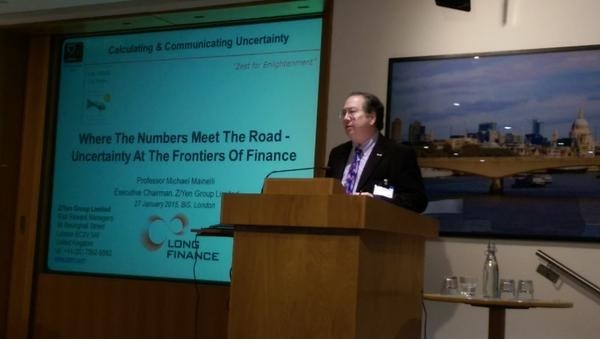 Voltaire said, “Doubt is not an agreeable condition, but certainty is absurd.” I was asked to share my ignorance by speaking about uncertainty and finance at the Calculating & Communicating Uncertainty Conference on 27 January 2015 at BIS, London. 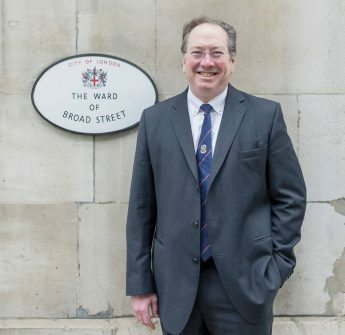 The event was sponsored by the UK Ministry of Defence, Defence Science & Technology Laboratory (DSTL) and Public Health England, and organised by the University of Southampton. You can read the full talk, “Where The Numbers Meet The Road – Uncertainty At The Frontiers Of Finance”. As my highlight, I would point out how much I enjoyed sharing with the audience my concept of “Knightian Ignorance”. University of Chicago economist Frank Knight (1885–1972) distinguished risk and uncertainty in his 1921 work Risk, Uncertainty, and Profit. Risk is something you can assess by knowing impact and likelihood. Uncertainty is something you realise might happen, but can’t quantify. Black Swans and unknown unknowns are popular party points today. To explain the conjunction of known unknowns and unknown unknowns I remembered the UK Conservative Party’s crude slogan under Michael Howard in the 2005 general election, “Are you thinking what we’re thinking?” I could explain known unknowns and unknown unknowns as Knightian Ignorance, “Are you not thinking what I’m not thinking?” Enjoy!